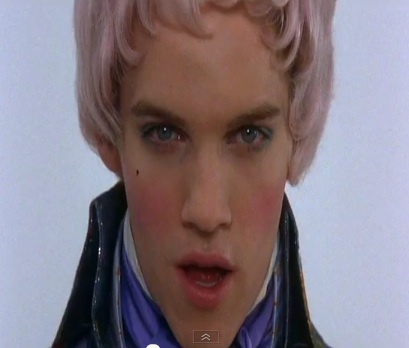 Velvet Goldmine (1998) tells the story of a journalist (played by Christian Bale) investigating the faked murder of a bi-sexual glam pop star, Brian Slade (played by Jonathan Rhys Meyers). One of the unique things about this movie is that the soundtrack and the movie contain the same songs, but not always the same versions. 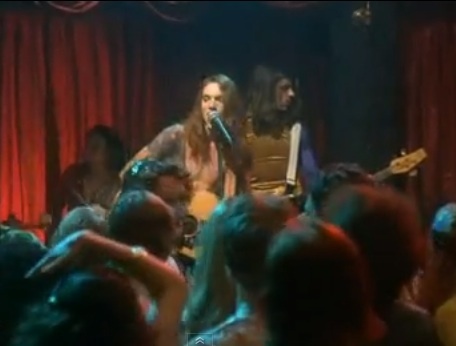 When Brian Slade’s band releases two music videos, Jonathan Rhys Meyers actually performs the vocals (below) while the songs are performed by Shudder to Think on the soundtrack with Craig Wedren on vocals. What makes this situation so confusing is the other songs on the soundtrack with alternate vocals in the movie. The first reaction to reading Thom Yorke is on the soundtrack, and giving The Venus In Furs songs a listen, could be that he must sing on the version that’s featured in the movie. But, this is not the case. Unlike the Shudder to Think songs, it’s actually the same song in the movie while Jonathan Rhys Meyers lip syncs (below).